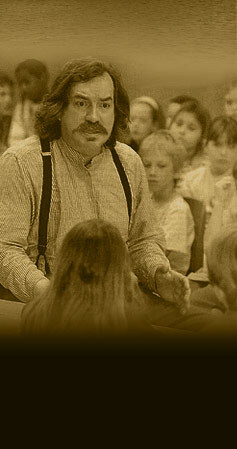 My name is Dennis Heaphy, and I am a historic reenactor with the Ellis Island Museum of American Immigration. 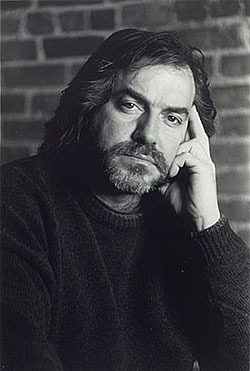 I have worked as an actor in New York City and elsewhere for the past 23 years. I have worked in all aspects of theatre, from lead roles and writing, to direction and stagehand work. I was one of the founding members of the present theatre on Ellis Island, and helped to physically build the present theatre facility on Ellis. I am a graduate of New York University Tisch School of the Arts, and I have taught acting on various levels. I have been deeply involved in the development of a number of youth education programs both in New York and in Syracuse, NY. During the off-season I take the show on the road offering an interactive program to schools and groups across the East coast. Along with performing The Board of Special Inquiry on Ellis Island I am physically involved in the ongoing restoration of both the Statue of Liberty and the Ellis Island facility. 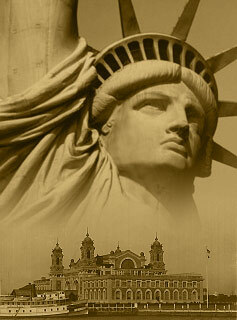 The facility on Ellis Island was instituted in 1892 due the massive influx of immigrants coming from Western Europe. During the years that Ellis Island was in service the greatest ethnic concentration came from Italy, but the group that preceded the institution of this facility, and some say heralded the need for these measures were the Irish. My family came to America in the year of 1848 fleeing the Potato Blight in Ireland, arriving in the Port of Boston. In those years immigration was sparsely regulated, and as was the case with my Great-great-grandfather Thomas, many immigrants were merely let off on the dock because their ship of passage needed to get back to the original port as quickly as possible. After a number of years of wandering Thomas found himself working on the continuing construction of the Erie Canal in the Central New York State valley where the City of Syracuse now sets. Thomas built a family in that valley, and in 1866 My Great-grandfather Dennis was born. After that details get sketchy, but as Thomas was prone to do he continued to wander. Not able to support the family of seven children Dennis’ mother was forced to place some of her children in an orphanage, where Dennis stayed into his early teens. Dennis was 13 years old when he ran away from the orphanage to work on the St Laurence Seaway of Northern New York State, posing as the then required 16 years of age to learn his eventual trade of tinsmithing. Upon returning to Syracuse a number years later as a trained artisan he started his own business with a series contracts to make splashguards for the many horse carriages that served the growing city. I am the fourth generation of my family in this craft, and I am carrying on the family business started in that small shop on the banks of the Erie Canal in early 1890’s. The stories that were told to me as a child fostered a great appreciation for the past, and I see a similar fascination every day in the faces of the people that visit Ellis Island.